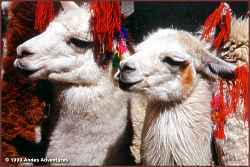 Selected as one of National Geographic Traveler's "50 Tours of a Lifetime"
Land cost $3,400 including ground transportation in Perú, quality hotels, all meals and guided tours, first class camping and full mountain support. See our FAQ and the detailed itinerary for complete information. 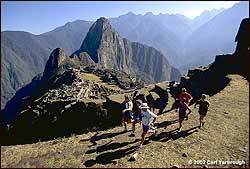 Our running adventure begins in Cusco, the archaeological capital of the Americas, at an altitude of 11,150 feet. In Cusco you will be able to see massive walls, cobblestone streets and remnants of the Inca empire and the Spanish colonial period. After a fascinating tour of Cusco, we are ready to start our running adventure, which offers a spectacular variety of trails in the Southern Peruvian Andes. We begin our run on the ancient Inca trail that leads to the legendary lost city of Machu Picchu  an extraordinary adventure into the history of the grand Inca civilization. Along the way, we explore the intriguing ruins of Inca fortresses, and camp at breath-taking Phuyupatamarca, "town in the clouds." Descending to the Sun Gate and Machu Picchu, the cloud forest trail becomes increasingly lush and varied. After two days exploring Machu Picchu  one of the world's most spectacular ruins  we take a train ride back to Cusco. • Run the Inca Trail - an unforgettable outdoor and cultural adventure. 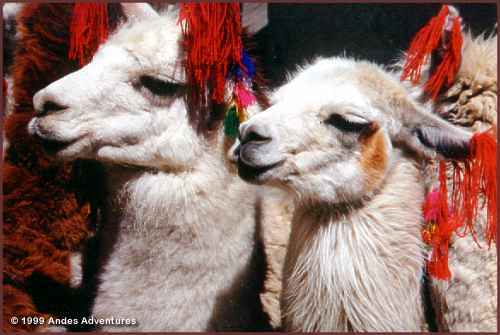 • Relax in comfortable 5-star camps in scenic locations on the Inca Trail. • See Machu Picchu from the Gateway of the Sun. The Inca Trail Running Adventure follows the original pilgrimage trail that leads into the religious capital of the Inca Empire, the legendary “Lost city of the Incas” - Machu Picchu! The run is moderate to strenuous over mountain terrain at altitudes ranging from 8,000’ to 13,779’. You will see archaeological sites only seen by those that complete the entire Inca trail. On the Inca Trail, you will sleep in a comfortable campground, and porters carry the gear. • Includes Superior Quality Hotels. • Includes All Meals at Fine Restaurants. • Includes Fees for All Tours & Park and Site Entrances.